Xercise4Less Hartlepool continue to support local schoolboy Alfie Smith in his journey to walking independently, this time by partnering with Matrix Fitness. Alfie’s family have been provided with a state of the art treadmill from Matrix to assist in his physiotherapy program. Nine year old Alfie was born with cerebral palsy, a debilitating disease that affects movement of his arms and legs, and has prevented him from ever walking unassisted. In March of this year Alfie underwent selective dorsal rhizotomy (SDR), a life-changing operation designed to permanently reduce spasticity in the body. This operation provides him with the best possible chance of one day functioning independently. The surgery, which was a success, is the first step in Alfie’s journey towards one day walking unassisted and pain free; however, there is extensive work to be done post-surgery to help his body become strong enough to one day walk alone. 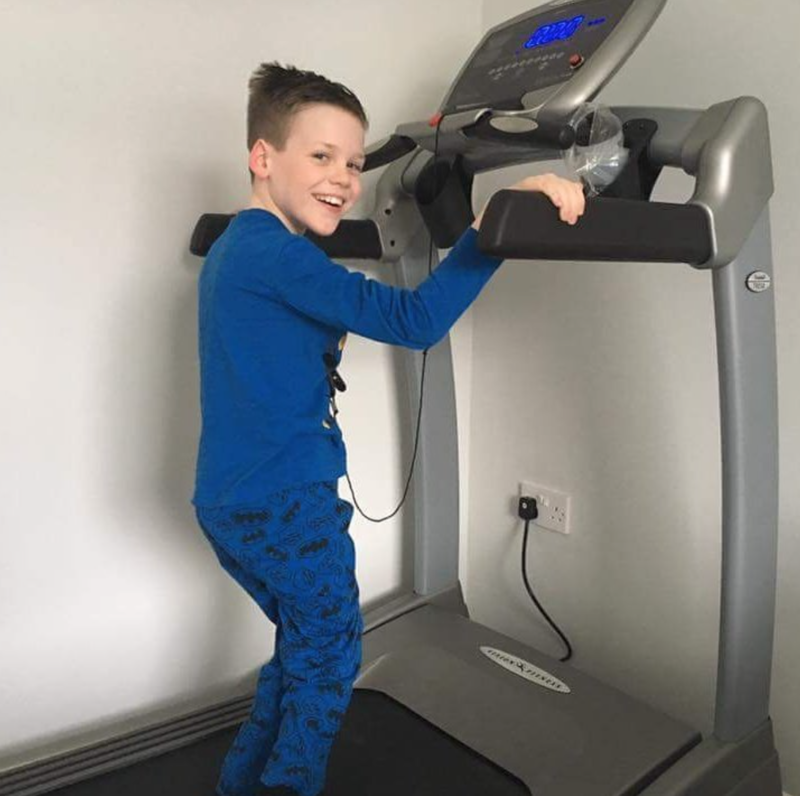 The state of the art treadmill, donated to Alfie’s family by Matrix Fitness – suppliers to Xercise4Less Hartlepool will help to make life significantly easier whilst he undergoes an intensive physiotherapy program designed to help him relearn muscle control and movement. “We are happy to be able to help the family of this brave young boy in any way we can”, commented Xercise4Less Hartlepool General Manager Karen Williamson. Next Next post: Education-Elite athlete’s take on Matrix Technology.